A long time ago, Avenue Magazine asked if I could write a story that applied what I’d learned during my walls-around-the-world research to Calgary. I considered the assignment, but decided that there wouldn’t be enough to write about. 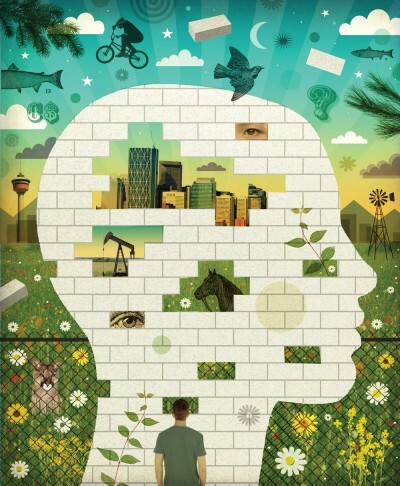 I returned to the idea a few months back, however, and sent out a call to my Calgary contacts on social media and asked ‘what are the walls of Calgary?’ People responded, and this story is the result. Of course it would be absurd to compare these barriers to the West Bank Wall, Belfast’s so-called ‘Peacelines,’ or the fortifications along the US-Mexico border. Yet each of these structure show how even a simple piece of urban architecture as a wall, a fence or a road can impact the collective psychology of those who live on either side.